First of all, I just want to say that this is my opinion on the whole film as well as by MacVx”> book series please don’t take offence. So here goes. I only became a TMI fan this year. I’ve only read the first three books – because my neighbourhood library only has those – and I’m still trying to find the others. I initially hated by MacVx”> the book , coz the purity monologue pissed me off (anyone heard of the Golden Compass? Yeah, go read the Dark Materials trilogy. ), but I decided to give it the benefit of doubt. Surprisingly, I liked it. The humour, the action, the dialogue, everything. I bought the entire Jace and Clary being siblings thing and my heart went out to them. When Jace found out he was Michael Herondale’s son, instead of Valentine’s, I will admit I cried a little. So I went into the cinema with high expectations, and the trailers, clips, interviews did nothing to defuse that idea. And then, I spent a good two hours or so with my ‘story’ antenna on and wove my way through it. I REALLY want to say I love it. I mean, Jamie Campbell Bower and Lily Collins aren’t Oscar-quality yet, but the script was just not gelled right. It was like they were trying for another Twilight when, no offence to Stephanie Meyer or Cassandra Clare, when the material was by MacVx”> COMPLETELY NOT. It’s like comparing Queen Elizabeth with Marie Antoinette, from what little I have gone around reading and watching. I know I’m not an expert, but I came out of the cinema…unsatisfied. Really, they could’ve taken out the whole running scene in the beginning and used it for so many other things. Jamie wasn’t as funny as I’d perceived Jace as in by MacVx”> the book , but that could just be my own personal perception. The Dorothea scene could’ve been handled better, and SERIOUSLY, her in the sun? Wasn’t there a portion of the book explaining that Greater Demons, like the one possessing Dorothea, CAN’T go out in the sun? The beginning was a complete let down to the later two-thirds of the story, which ended in a sappy, soapy over-soaked mess. I had to admit, when I went in, as a former Twilight fan, I wanted this to write off all the Twilight stuff I’d devoured over the last few years. I thought this would finally do justice to the YA books and film adaptations. Did it? I mean, I will buy the film, just for the sake of watching how it came to be and using them for my own stories, but there were so many parts that had massive loopholes. I mean, when I read by MacVx”> the books , both Lucian Graymark and Valentine had been white blonds, sort of like Caius in Twilight, but without the buttery highlights. I have nothing against either actors playing them, since they did a pretty good by MacVx”>JOB presenting the non-TMI fans what they ‘feel’ like. But I placed Valentine amongst people – and characters – like Heath Ledger’s Joker, Charlize Theron’s Queen Ravenna, Jim Caviezel’s Edmond Dantes,Tom Hiddleston’s Loki, Benedict Cumberbatch’s Sherlock Holmes, Andrew Scott’s Jim Moriarty and many more. Jonathon Rhys Meyers, by MacVx”> played the intensity and terror-inducing presence, but not the urban sophistication nor the calm exterior he projected that made his trail of madness so shiver-inducing. For those new to films, Jonathon perfectly frightens them out of their minds. For those with a better understanding of the ‘levels’ of evil and films, he only helped point out gaping flaws in the film, least of all the summoning of demons on HALLOWED GROUNDS. I could go on for days on my pontification of the flaws and injustice Harald Zwart did to the film, its fans and the public. He could not capture the depth, humour and wonder Cassandra Clare brought to the table, but then that’s the magic of by MacVx”> books . I believed for the longest time that a film adaptation isn’t just to please the fans, but to draw the public in and let them glimpse what the rest of us fans saw in the crisp white 488/ 512 pages of pure fantasy written with love and heart. Twilight almost succeeded, Star Trek did it with flying colours, The Avengers, SpiderMan, and more to come. I just hope the second won’t let me down as I wait for it with all the expectation of the first. But the above are the main points of what I needed to say. And here comes my re-editing section. I sort of have this tic where I mentally re-write whole films to my own liking and let it spin around in my head for new story by MacVx”> ideas . This will be the first time I’m doing this. The first five~ten by MacVx”> minutes of the film I’ll keep, from when Jocelyn and Clary are interacting in their daily life. It’ll be a good visual reference for the audience to compare the before and after of Clary’s change. I might add some posture classes, just sort of as a physical trait where Clary and the Shadowhunters are from different worlds. Maybe Jace will sport a bit more of a strut, since he’s ‘flat out cocky’. The angelic symbol would remain, I’m fine with that, and then a scene where Jocelyn calls Magnus Bane. Clary overhears the conversation and asks Jocelyn, but Joss waves it off and insists that Clary comes straight by MacVx”> home after the poetry lesson. Jocelyn calls Luke, and they talk as Clary leaves, furious. The pub scene was shot nicely, so that stays. I did get a kick out of seeing Isabel (Jemima West) in that nun-ish outfit. There was a bit of an overuse of slow-motion (the demon freeze scene, Jace and Clary on the rooftop, Luke’s interrogation, the pub kill), which would leave more time for characters. Clary comes home to a still awake Jocelyn. They fight, and Joss forces Clary to leave with her to see someone. Clary refuses. Jocelyn gives her an ultimatum, and leaves to go to sleep. Clary throws a tantrum in her bedroom, and falls asleep crying in anger. The next day, Clary meets Jace. She notices the angelic mark. Flash back to the one Jocelyn ripped off the note pad. She asks what is it. The remaining scene by MacVx”> continues . The humans staring at Clary part was a nice, humourous touch. Clary recieves the phone call. I’ll show one or two scenes of Clary running. It shortens the scene and leaves more time to be played with. I’ll take out the Luke Interrogation part. It’s neccessary, to bring across the point that Clary has no where else to go except the Institute, so it’ll just be another phone scene as well as some shots showing Luke being interrogated and the whole lie about kissing up to Jocelyn and Clary. In addition, it adds to the ominous idea that something bad is coming, since Jocelyn did by MacVx”> try to stop Clary from coming home through a phone call. Lena Headey did very nicely in that fighting scene, and I kept seeing Tangledflash behind my mind’s eye when she wielded that frying pan. Then the Ravener demon comes in (excellent CGI there), and Clary gets hurt according to the story. She meets Dorothea, according to film, and the Ravener demon comes back for her after the kitchen explosion. She gets hurt as Jace comes in his bike and saves the day (yes, it’s sappy, but you get the point). Simon follows not far behind and they go to the Institute. Once Clary recovers, she starts drawing out what has happened, and Jace called Jeremiah, one of the Silent Brothers, and they go to the City of Bones. Instead of that weird reverse image thing that happened, Clary wakes up with the word ‘Bane’ on her lips. Short flashback of beginning scene. They go to see Magnus Bane, and as they do, Jace explains to Clary what runes are, and how they are incomplete – hinting at the future to come. They also stop to pick up Isabel, Alec and Simon, who insists on coming. And, of course, they have to change clothes to fit in. According to book, Magnus refuses to remove the charm and tells Clary that she already knows the truth, and the rest will come. They go to save Simon, and the film scene continues, except without the chessy whip sounds. I’m fine with the whole vampire on the ceiling thing. I like that they played coy with the whole Simon turning into a vampire, since it’s not broached until the second book. None of that slow-mo staring-into-each-other’s-face thing. Twilight did that. TMI doesn’t need it. Probably it’ll change to ‘If you wanted to kiss me, just ask’. Oh yeah, and the guy pretending to be a faerie when he is a vampire, that’s gonna be a girl. Easier to pull off, plus we get to see Isabel jealous. They return to the Institute, and Clary and Jace go for a walk in the Institute’s Garden, as per the book. He tells her about the falcon, as per the film, and they kiss. NO DEMI LOVATO SONG. I mean, the song is heartbreaking in its simplicity, but WE DON’T NEED A POP SONG IN THE MIDDLE OF SUCH A SCENE! IT’S CHEEESY AND FOR TEENY BOPPERS, NOT TMI. Maybe the karaoke version, but no voice, and no lyrics. YA stories need to be classier. The Simon walks in to the second kiss is fine and I’ll keep that, until the Dorothea part. I’ll end that part with Simon shooting arrows at it, and Alec gets hurt. They bring him back to Magnus’ place and leaves him there to heal. 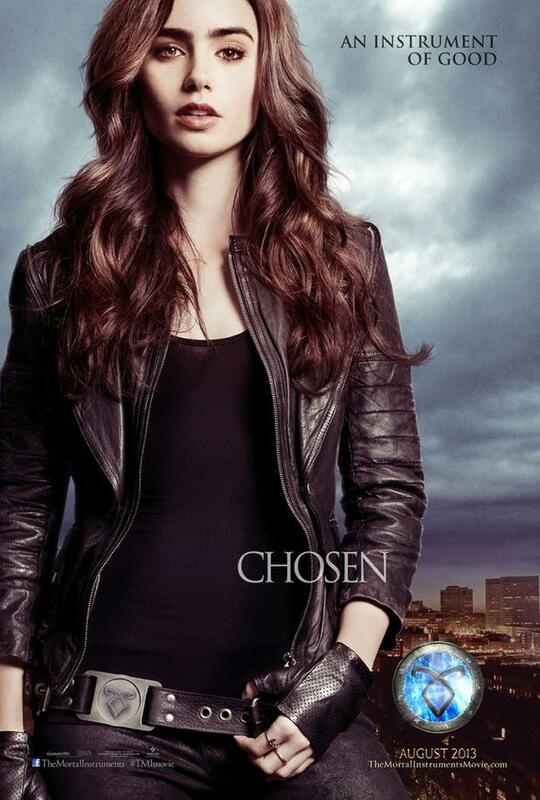 They are returning to the Institute, when Clary is taken away from the group by Pangborn and Blackwell. Jace, Isabel and Simon reaches the Institute with the Mortal Cup and learn of Hodge’s betrayal. 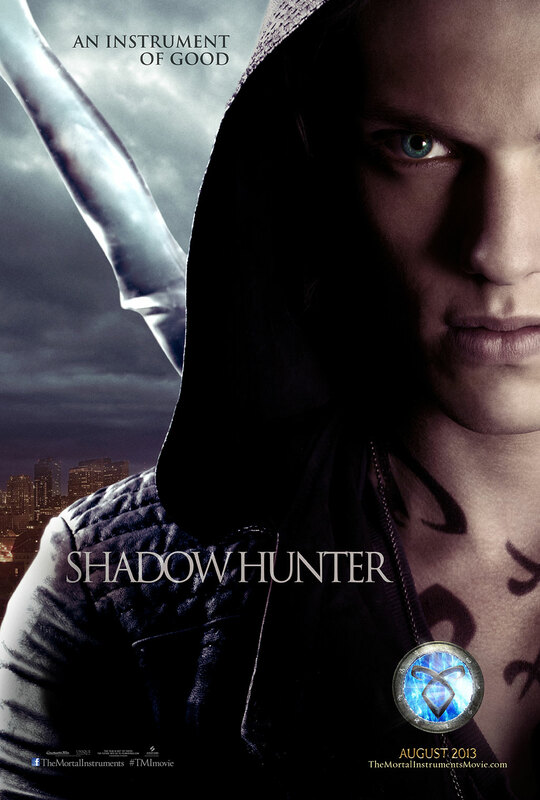 He summons Valentine, and Valentine, after Jace realizes he is his father, tells Jace that he has his sister. Simon brings them to Luke at their insistence. They meet Luke, who, revealed by Jace and Isabel, is a werewolf. They storm Valentine’s lair, and find Clary with Jocelyn, Valentine threatening to kill them both if Jace didn’t give him the Cup. Velentine had revealed to Clary that she is Jace’s sister. Jace fights Valentine, but fails, and Valentine escapes through the portal to Idris, Shadowhunter capital. Simon hugged Clary, and they leave to get Jocelyn to a hospital. Jace stares at them, and walked back to the portal and picks up a piece of mirror that shows Idris. The ending goes according to the book, where Clary returns to the Institute to talk to a healed Alec and they agree to start fresh. Clary encourages Jace to see Jocelyn, though he has not forgiven her for leaving him with Valentine, and Jace agreed to see Jocelyn. They leave on the motorbike, and THEN Demi Lovato can start singing ‘Heart by Heart.’ That’s much better than a face punch right in the middle of the film. As for Valentine, if I could’ve, I would have casted Lee Pace, or maybe Zachary Quinto. I always saw Valentine as the extremely handsome guy with chiseled cheekbones and cold eyes. Just a suggestion though. And the samurai braid. OMG. I’m not sure who to cast for Lucian though. So, people, what do you think? Comments below!